Coach Friday has made his final selection of players who will represent Team USA in Rio next month. Notables include the veteran Zach Test, the speedster Carlin Isles, the enforcer Danny Barrett, the talented Perry Baker, the captain Madison Hughes, the professional Chris Wyles, and most notably the Super Bowl Champion Nate Ebner. Bender captained Washburn to a championship in the Minnesota high school state rugby championship. He was recruited as a linebacker at St. Cloud State but shifted focus to rugby soon after. Bender was playing for the Eastside Banshees at the 2011 Men’s Club 7s National Championship when he was seen by selectors for the Midwest All-Star Sevens team. 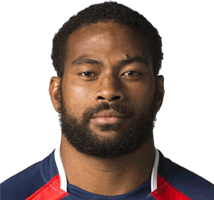 He earned recognition in the Men’s Eagles Sevens pool in October 2011. Durutalo made his Men’s Eagles debut in 2012 with three caps against Canada, Georgia, and Italy. He is in the Men’s Eagles Sevens Residency Program at the Olympic Training Center in Chula Vista, Calif.
Test was selected for the AIG Men’s Junior All-Americans and made his Men’s Eagles Sevens debut during the 2008-09 IRB Sevens World Series. He has been a mainstay on the team since and currently leads all active players in tries scored (as of the end of the 2013-14 IRB HSBC Sevens World Series. He has also won the bronze medal with the Men’s Eagles Sevens at both the 2009 Maccabi Games and the 2011 Pan American Games. Originally from Allentown, PA, Wyles picked up his rugby skills while growing up in England. He first represented the USA Sevens team in 2007 in Hong Kong and went on to professional stardom playing for Saracens of the English Premiership. With 13 USA Sevens team caps and 54 caps on the 15s side, Chris is one of the most experienced players on the squad. Growing up outside of Denver, Ben made his way onto the rugby pitch in High School being named club MVP two years in a row before attending Colorado State University. In 2013-24, he was named to the Under-20 mens team and made the final squad selected for the Hong Kong Sevens. Hughes was a member of the USA Rugby AIG Men's Junior All-American team that won the 2012 IRB Junior World Rugby Trophy in Utah. He also pulled on the AIG MCAA jersey in 2013 and 2014 on tours of New Zealand and New England, respectively. Hughes won the 2013 Serevi RugbyTown Sevens Cup with Tony Pacheco's MCAA 7s squad and was selected to four stops of the 2013-14 IRB HSBC Sevens World Series. On the circuit, Hughes has accumulated 98 points. Niua began his rugby career with the East Palo Alto Razorbacks, winning a Division II National Championship in 2009. He also won a Rugby Super League title with San Francisco Golden Gate. Niua made his international debut with the Men’s Eagles Sevens at the 2011 Pan American Games, where he started at fly half and led the team in scoring with 41 points on the way to a bronze medal. In 15s, he earned his first of seven career caps against Canada on August 17, 2013. Niua spent part of the 2013-14 Guinness Pro12 season with Glasgow Warriors before returning to the Residency program at the Olympic Training Center. A standout rugby star at Ohio State, Nate competed in the first Penn Mutual Collegiate Rugby Championship in 2010. He went on to become a safety for the National Football League's New England Patriots, making him the only Super Bowl winning champion in the history of rugby to play on the men's national team. All eyes will be on Nate as he represents the epitome of America's cross-over athlete talent pool that is waiting to be tapped as the U.S. increases its global ruby profile. Barrett helped the AIG Men’s Collegiate All-Americans defeat a combined New Zealand Universities side during the MCAAs’ New Zealand Tour in June 2013 with a try. He was also a member of the San Francisco Golden Gate sevens team at the inaugural World Club 7s at Twickenham Stadium in 2013. Barrett also scored a try in the Eagles Select XVs’ win against Canada at the 2013 IRB Americas Rugby Championship in Langford, British Columbia. Unufe played football at Provo High School before making a name for himself playing rugby for the Utah Warriors at the Club 7s Nationals in 2011. He made his international debut with the Men’s Eagles Sevens at the 2011 Pan American Games, helping the Eagles win the bronze medal. Unufe’s first appearance on the IRB Sevens World Series was at Wellington Sevens in 2012. After two years with the Arena Football League's Pittsburgh Power, Baker picked up rugby in Daytona Beach before training at Tiger Academy. He was invited to the Residency Program at the Olympic Training Center in 2014.